Thank you for visiting Appetite for Entertaining! 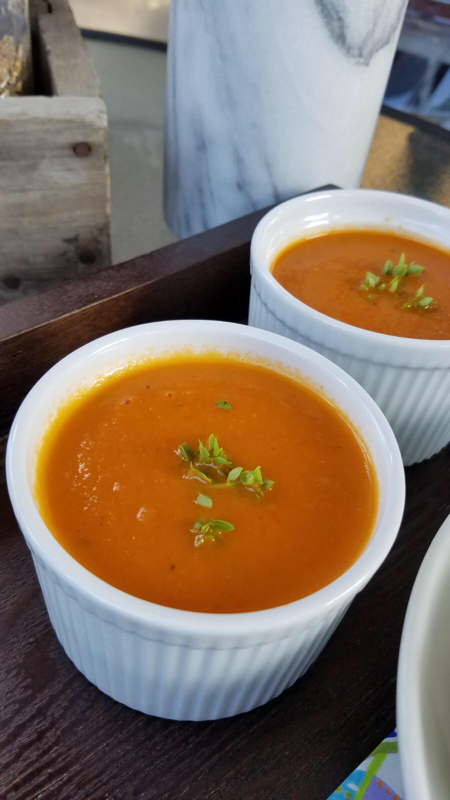 This website was created to share some of my own culinary creations as well as other delicious recipes I have discovered throughout my years of cooking. I want to provide you with quality, well-written recipes that are new and inventive as well as some of the old classics. I want to share tricks and tips to make it easy and enjoyable to entertain friends and family. I truly hope you love the recipes and ideas I have on this site and continue to build your own culinary confidence! Preheat oven to 450 degrees. 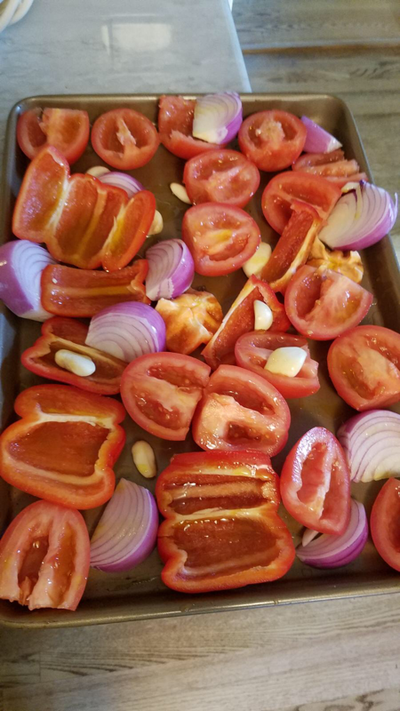 Arrange tomatoes (cut side up) peppers , onion and garlic on a large baking sheet and drizzle with olive oil. Season with salt and pepper and roast for 40 minutes. Remove from oven and pour the contents of the baking sheet into a food processor. Add basil and purée until smooth. Pour contents from food processor into a soup pot and add cream, chicken stock and lemon juice and bring to a simmer. Season with salt and pepper. Garnish with fresh basil or croutons.